We have an exciting job opportunity in the Estates Department of the Shrewsbury and Telford NHS Trust for the position of Maintenance Technician. The role is based at The Princess Royal Hospital, Telford, but you may also be required to work at The Royal Shrewsbury Hospital to meet the varying needs of the Trust. 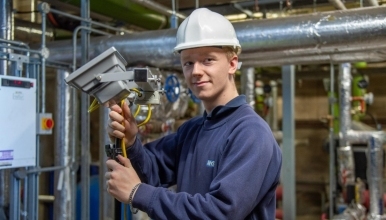 The post holder will undertake multi-skilled tasks which are complex and/or non-routine, involving calibrating and fault finding on a wide range of engineering plant and equipment (electrical distribution boards and associated circuits, lighting, fire detection, building management and automation systems, standby electrical generators, HVAC plant, security access control, CCTV and Nurse Call systems) installed within Trust premises. The post holder will be part of the wider Estates Multi-Disciplined Team and should therefore be able to work as part of the team but also possess the ability to work alone and be an active member of the Estates on-call team. Due to the On-Call requirement of the post, you must be able to respond to emergency calls within 45 minutes of leaving home and arriving at the base hospital. The Trust will also consider applicants that may want to utilise this post as a development opportunity under Annex 21, of Agenda for Change (with the appropriate adjustment of duties).